You enter the book store full of anticipation. You follow the signs eagerly to the children’s section. You stop. There are rows upon rows of books neatly laid out in front of you. Inspiring, inviting book covers appeal to you from every direction. Your shoulders sag. How on earth are you going to decide which of these appealing children's story books to buy? We’ve all been there. Choice is wonderful, unless there is too much of it. What you need is a strategy to your book buying. A plan. The best strategy is to buy children's books which will be entertaining for your child but which will also provide some educational or cultural improvement. Look for interesting content, appealing illustrations, varied vocabulary and predictable language patterns, all of which will entertain your child. Then think about the book length and number of words on each page. Try choosing progressively longer books so that you gradually lengthen your child’s attention span. Choose books with varying subject matter to expose your child to new ideas and experiences. Also be aware of the language style and try selecting books which introduce your child to different types of literature. Keep reading to find out how, by paying attention to each of these aspects, you can buy children's books which are perfect for your child. What Makes A Children's Book Entertaining? Children love surprise and excitement so buy children's books which offer both these and engross your child in the story. Look for identifiable characters, a captivating story and an element of intrigue or surprise. Children notice the illustrations in a book before they start hearing the story. The pictures provide the first indication of the meaning of the book. While you are reading the words of a picture book, your child will be looking at the pictures and will probably see many little details which you would never notice. In the best picture books the pictures and the words complement eachother, with the illustrations often adding more to the story, and sometimes even saying something totally different from the words. In some wordless picture books the illustrations are so powerful that no words are needed at all. These books can be very enjoyable whatever your child's age - the youngest are able to 'read' the book all by themselves and the older ones can develop their storytelling skills. The vast majority of words in the English language are not used commonly in speech. The best way to expose your child to these ‘rare’ words is through reading to them. 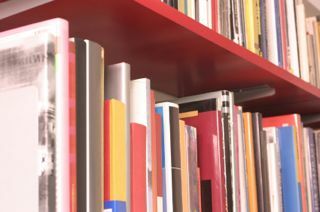 A children’s book contains more than three times the number of rare words than an adult would generally use talking to a three year old child. And the more your child hears these words, the more likely they are to remember the words. This is worth recalling when your child asks you to read the same book for the twentieth time - you may be bored silly but you are helping them to develop a rich vocabulary! Children love books with the three R’s: rhyme, rhythm and repetition. 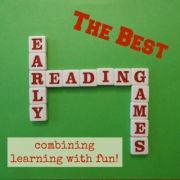 Children love to predict what word comes next and rhyming books help them to do that. They also love the structure provided by rhythm and repetition within the book. Children's poems are a wonderful way of introducing rhythm and rhyme to your child. Children need to be able to see the words, and the spaces between words, clearly. 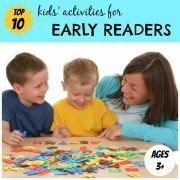 This is particularly important for beginner readers who are starting to read early reader books themselves. A book with a simple message or learning point will leave your child with something to mull over after the book is finished. When choosing a book for your child, think about how long their attention span is. 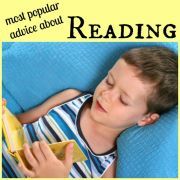 Buy children's books which lengthen their attention span. The amount of text on the page should increase as your child’s attention span increases. Start with short picture books with only a few words on each page. As your child becomes comfortable with these, choose longer picture books which may have to be read over more than one sitting. Then try short novels, also known as chapter books since they are broken into short chapters. Finally, when your child is ready, you can choose full-length novels, which are over 100 pages. Consciously try to expand your child’s attention span by introducing them to longer and longer books when you think they are ready. If your four year old avidly listens to long picture books, try a chapter book and see how they get on. If they enjoy it, read chapter books as well as picture books. My son loved Charlie and the Chocolate Factory when I read it to him at the age of four. The chapters are short enough to provide plenty of stopping opportunities when concentration wavers. You can find a list of our favourite read aloud chapter books for younger listeners here. Once your child is reading novels, don’t forget about picture books, however. They still contain great stories and if your child enjoys them, they will still be learning from them. There are some great picture books perfectly suited to older readers. Reading books with your child about subjects they know little or nothing about is a great way of expanding their background knowledge and opening their mind to the complex and vast world out there. There are some excellent non-fiction picture books available from which your child can learn about many diverse subjects such as inspirational true-life characters, historical adventures, world issues and art. Buy children's books about families living in other countries to expose your child to other cultures. Read books linked to the time of the year, such as children's Christmas books. 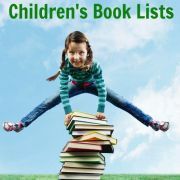 Or try factual or story books about bugs, bats, animals, art, mechanical things or unusual professions, for example. 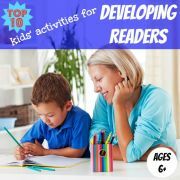 As well as preparing your child for the day when their horizons naturally widen and they have to confront these subjects head-on, diverse background knowledge will also help your child directly improve their reading skills. Rather than read every word, fluent readers make predictions about some of the words based on what they know would make sense. 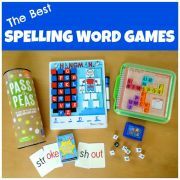 This enables them to focus on the meaning of what they are reading, rather than concentrating on reading every individual word. Without any background knowledge on the subject, however, a child finds it difficult to make accurate predictions and so finds it harder to read fluently. If, however, you need to buy children's books for a reluctant reader, you should focus on subjects which match your child's interests and hobbies. If your child is interested in a particular topic they will be more motivated to read about it and will be more likely to understand what they are reading. This is because reading about a subject we are knowledgable on is less laborious than reading about something of which we know nothing. Different types of literature have different language styles. Shakespeare doesn’t exactly sound the same as Roald Dahl, but also Roald Dahl is very different from Hans Christian Andersen. Expose your child to different language styles to provide variety in their reading material. A familiarity with different types of literature will also help your child become a fluent reader. If you are familiar with a particular language pattern, it is easier to make predictions while you are reading and so you gain more meaning from what you read. Buy childrens books in different language styles so your child becomes familiar with the conventions of different genre. Finally, remember also that if you live near a good library it isn’t actually necessary to buy childrens books in any great quantity. With some books children only need to read them a few times to digest the information from them which they want. Just buy the books which your child comes back to again and again and really loves.